After decades of being seen as an old man's drink, whiskey is booming in popularity. Craft distilleries are popping up all over the United States, making whiskeys not just from corn, rye, and malted barley, but also from grains such as quinoa, blue corn, and triticale. Cocktail lovers, moving away from sweet and fruity flavor profiles, have embraced the earthy, bitter, savory notes that come from the “brown” spirits. In this collection, Shrubs author Michael Dietsch reaches out to those cocktail drinkers with recipes both classic and original, in historical order. He begins with colonial-era drinks such as Cherry Bounce and the Stone Fence, moving to early whiskey drinks like the Toddy and Julep, and then into the cocktail explosion of the Jerry Thomas era circa 1880s. This leads to the drinks of pre-Prohibition, Prohibition, and post-Repeal, and then to a section on the cocktail renaissance of the last 15 years. 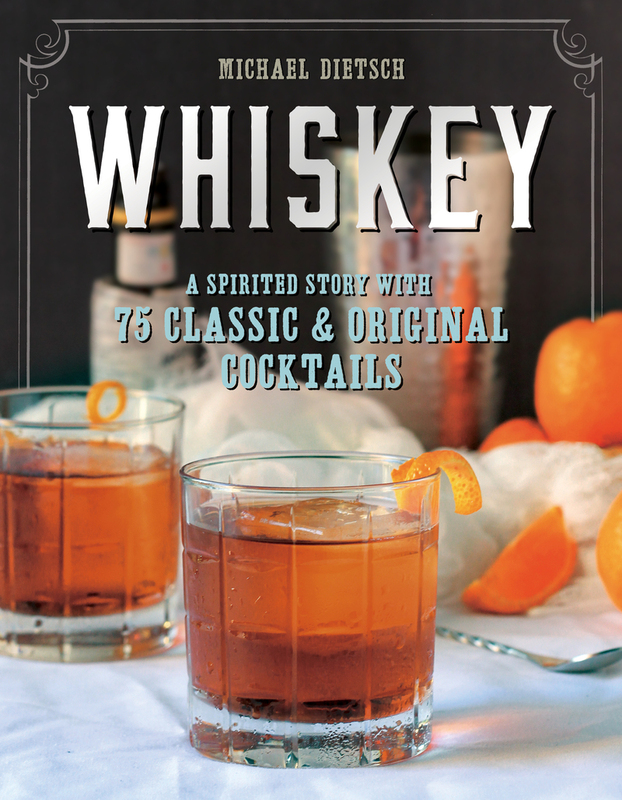 Author Michael Dietsch writes, "Whiskey is a spirit with a story," and he includes an overview and some history without losing sight of the pleasures in drinking the stuff. His cocktail recipes are also infused with stories, making this book a joy to both read and use. Michael Dietsch is a writer, editor, and accidental bartender in Brooklyn. He is a contributor at SeriousEats.com and writes about spirits and cocktails at the website A Dash of Bitters. When he’s not mixing drinks, he’s smoking huge chunks of meat, grilling vegetables, bicycling, or enjoying a fine cigar. The author of Shrubs, he lives in Reston, Virginia, with his family.